For the latest software update news regarding Oppo Realme C1, this page has you covered. Here, you will come across news related to Android security patches, bug fixes, ColorOS updates as well as Android OS upgrades. 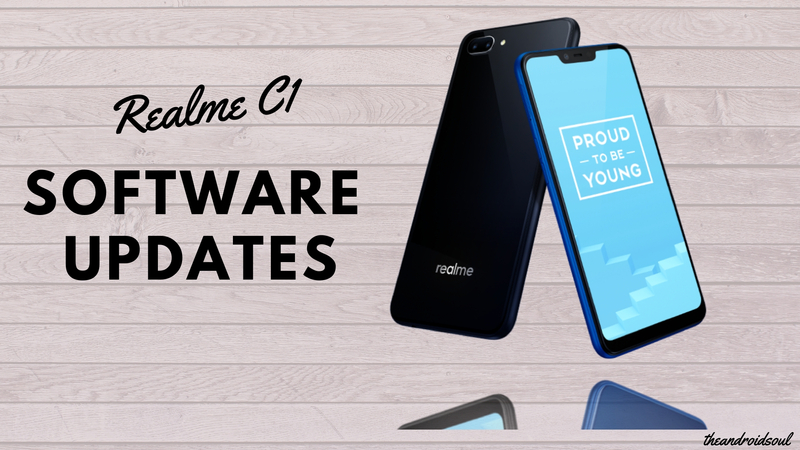 While the page will be dominated by official software update news from Realme, you can be sure we’ll spice things up with cool unofficial software updates from time and again. The Realme C1 made its debut in October 2018 and at the time, the company had a working build of ColorOS 5.1. As per the published software schedule, an update to ColorOS 5.2 is in the works, but we don’t have a specific release date. Of course, we’ll update this page with this info when Realme makes it available. Unlike the Realme 1, Realme hasn’t said a thing about the prospects of Android 9 Pie update for the Realme C1. This, however, doesn’t mean we shouldn’t expect an update to Pie, but we may not have a concrete date as to when this will happen, that is if it will actually happen. The C1 has Oreo 8.1 preinstalled, meaning it supports Project Treble. If anything, this should make the software update process much easier and faster, which could see Realme begin the Pie rollout somewhere in Q1 2019. Again, this is just us speculating, so take the info with a pinch of salt.